A ‘contour bunding’ efficacy monitoring station at the Africa RISING M’pessoba technology park in southern Mali (photo credit: Jonathan Odhong’/IITA). 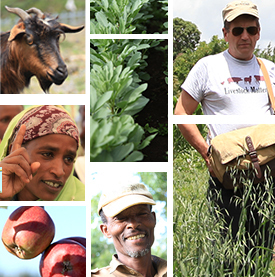 A simple innovation can go a long way to help lives and livelihood of farmers in the drylands. 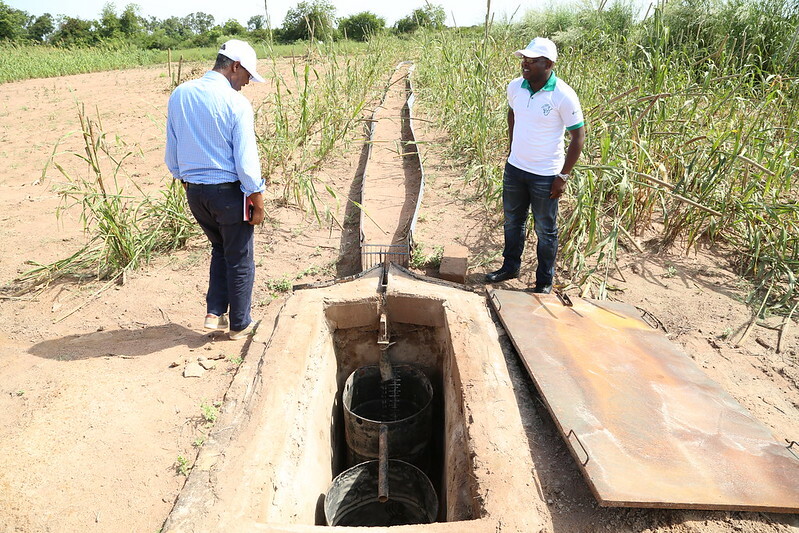 A team of ICRISAT scientists in Mali have found that ‘contour bunding’, a technique that helps retain moisture and nutrients while preventing soil erosion also brings as much as 20% increase in net income. The study, in Kani watershed, about 450 km from Bamako, was carried out between 2014 and 2016. The research also looked at land use data between 1986 and 2014 to show the impact of soil and water conservation (SWC) practices. Contour bunding technique reduces water runoff and controls soil erosion through ridges covered with perennial grasses such as Andropogon and Vetiver. Farmers use the ridges for crop production. The region under study, is an area of 5,780 ha, that receives just about 800 – 1100 mm average annual rainfall between July to September, struggling to retain even this. A constructed dam here, dries up after two months. During rainfall, flooding caused loss of topsoil and nutrients. Due to low productivity, land under natural vegetation gives way for farming, to increase production. This is a matter of concern, both from the environmental as well as economic perspective. This is why a comprehensive watershed approach for the region is important. During the study, participatory watershed management helped identify challenges in land and water practices. An evaluation of historical changes in land use and water consumption for major crops was carried out. The benefits of SWC practices were also evaluated through field experiments. By leaving upland areas in a watershed, forested, natural resources degradation can be greatly reduced. The contour bunding practice now could be scaled up at watershed, landscape or basin level through collective action of researchers, agricultural extension workers, non-governmental organizations (NGOs) and local community-based organizations. Results showed that erosion through rainfall reduced considerably due to contour bunding and farmers reaped as much as 20% net benefit increase from sorghum production with this technique. Farmer Sekou Berthe of Kani village who used contour bunding, says, ‘I have been contacted by other farmers now, who also wish to have this in their fields. An NGO, AMEDD, put this together for us at a cost of USD10 per hectare of land. I am more than willing to pay this cost, since we have seen the benefit’. More than 250 farmers whow have implemented contour bunds in their farms echo Berthe, saying they were willing to pay to adopt the technique which would make it sustainable. In the context of cropland expansion and low agricultural productivity in Mali, the use of SWC practices is crucial to ensure that land degradation is curbed and productivity increased. The study recommends scaling up contour bunding to help bring large-scale benefits to farmers in the region. This research was supported by the CGIAR Research Program on Water, Land and Ecosystem (WLE) and the Africa Research in Sustainable Intensification for the Next Generation (Africa RISING) program in Mali. Financial support was provided by the International Water Management Institute (IWMI) and the United States Agency for International Development (USAID) through the International Institute of Tropical Agriculture (IITA). This post was originally published in ICRSAT news and was authored by Jayashree Balasubramanian (ICRISAT). Tags: contour bunding, environment, erosion, Soil and Water Conservation. Bookmark the permalink.